Yes, I know the weather in many places doesn’t reflect that. But looking at the calendar, it still shows the 12th month of the year. And in the NBA, they say that games this early on in the season mean nothing. They shouldn’t matter. They couldn’t have any impact in the big picture of an 82-game season, could they? I beg to differ. 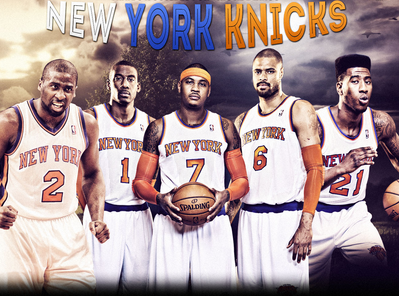 And the New York Knicks, albeit early on, are making many fans think otherwise. For the second time in the young season, the Knicks dominated the defending champions on Thursday, burning the heat 112-92 in Miami. Many gave the Heat a pass in the first meeting, as it came after Hurricane Sandy and the focus should’ve been elsewhere. Many analysts brushed that win off for the New York and didn’t think it impacted the Heat at all. But on Thursday, the Knicks sent a strong message to the Heat, the Eastern Conference and the rest of the NBA that this year is different. Did I mention that New York’s leading scorer and best player Carmelo Anthony didn’t even play in the game? “It was fun. It was fun the whole game,” Raymond Felton told reporters after the game. “Everybody contributed tonight. Everybody did something amazing. 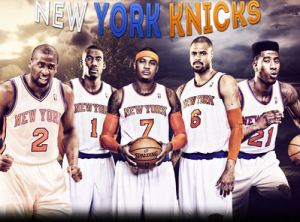 We played a great game minus our superstar.” And by the way, all of this is being done without Amare Stoudemire. Head coach Mike Woodson has his team playing defense, moving the ball and, most of all, believing they belong among the upper-echelon teams in the NBA. So even though it may have been a meaningless December game, the Knicks are for real, and they continue to show that they will be a force for this entire season.